Your dreams of wearing a Pokémon Go Wearable to catch 'em all this August are officially crushed. You gotta catch ‘em all in Pokémon Go, but right now that’s hard to do. Unless you’re looking at your phone 24/7 or willing to jump out of your running car, you might miss out on a rare Pokémon. It looks like you won’t be getting any help with that before the fall. Nintendo recently announced via Twitter that the Pokémon Go Plus wearable won’t be released until September. The wearable was originally expected to roll out in July. 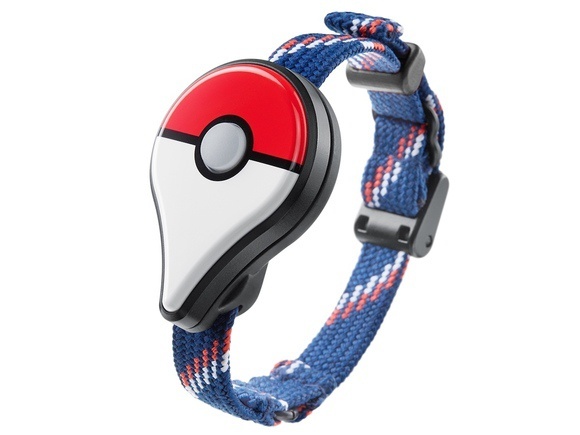 The Pokémon Go Plus is a wrist-wearable device that connects to your smartphone via Bluetooth LE. Whenever you get close to a Pokémon the device lights up and vibrates. The Pokémon Go Plus can also alert you to other in-game events such as nearby PokeStops. When it rolls out in September the device will be priced at $35. The Plus will be a big help to anyone who wants to keep their phone in their pocket, including runners using planned Pokémon-filled routes. The story behind the story: You have to wonder if Nintendo will have missed the boat by the time September rolls around. There are some indications that we’ve already reached peak Pokémon. Then again, decades of pent up desire to bring the Pokémon experience into the real world may keep the augmented reality game going for a while yet. It’s not clear why Nintendo is delaying the roll out of the Pokémon Go Plus. Given the madness over this game it may be that Nintendo underestimated demand and wants to build up more stock for release. That’s just speculation, however.